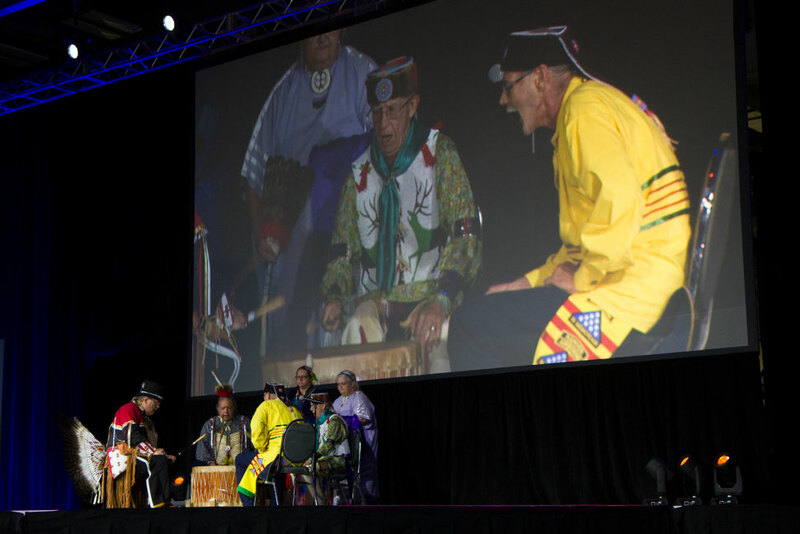 Ohio’s Native American history was celebrated with the drumming of the Red Circle Singers. 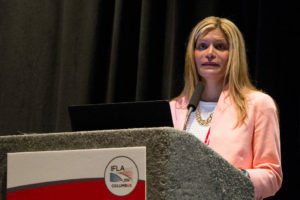 Donna Scheeder, president of the International Federation of Library Associations and Institutions (IFLA), opened the 82nd IFLA World Library and Information Congress on August 14 in Columbus, Ohio. 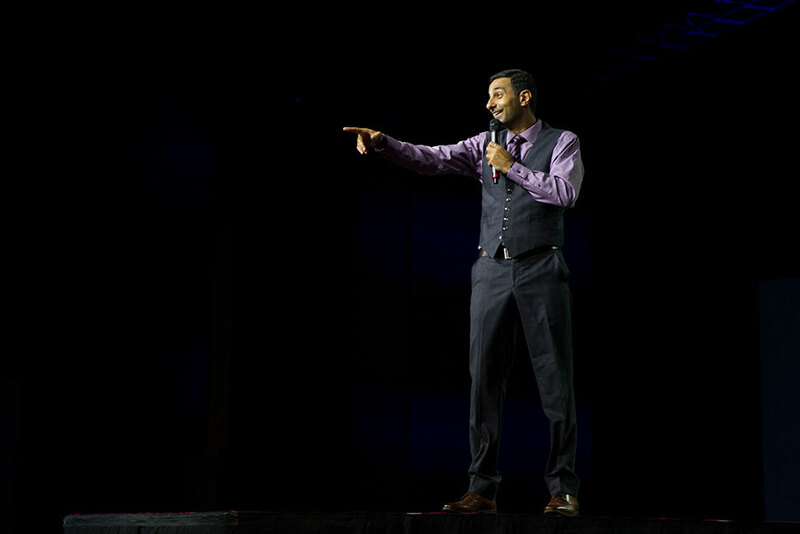 The opening session celebrated its host state, with appearances from Cleveland Cavaliers announcer Olivier Sedra and some animal ambassadors from the Columbus Zoo and Aquarium as well as a tribute to the state’s history as “first in flight” with an aerialist tribute to the Wright Brothers and a video message from astronaut and former Senator John Glenn, among other highlights. 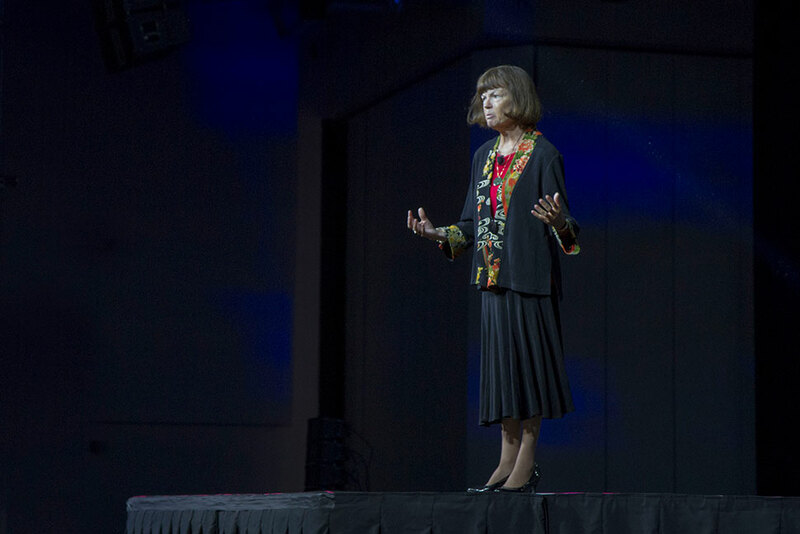 Donna Scheeder, president of the International Federation of Library Associations and Institutions (IFLA), opened the 82nd IFLA World Library and Information Congress Sunday morning. 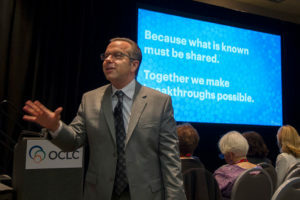 The theme this year is connections, collaboration, and community. The program was runway themed, a nod to Columbus’ rank as third in the nation for number of fashion designers. Ohio inventors including Thomas Alva Edison were highlighted through costume and song, at times accompanied by the Columbus Gay Men’s Chorus. 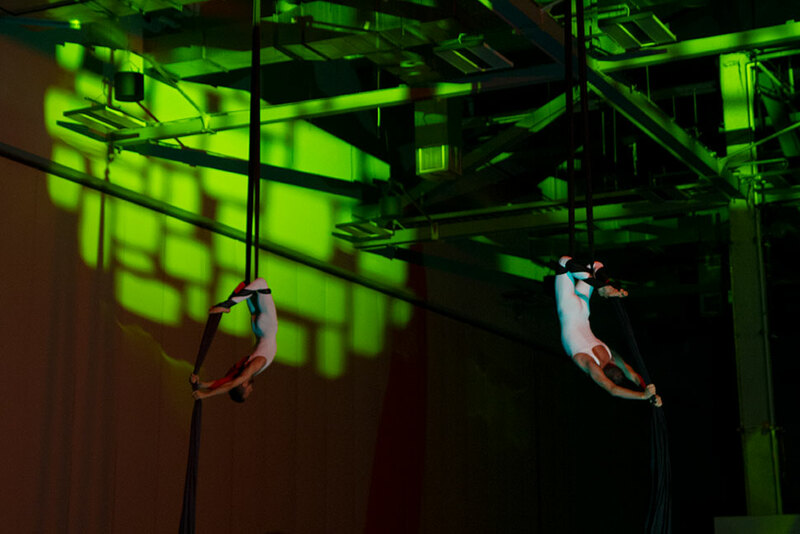 Aerialists performed for a portion highlighting Ohio’s pioneers in flight from the Wright Brothers to John Glenn. Glenn, an astronaut and Ohio senator, welcomed IFLA attendees in a recorded message. Columbus Public School students passed out Life Savers. The hard candy was invented in Ohio in 1912. 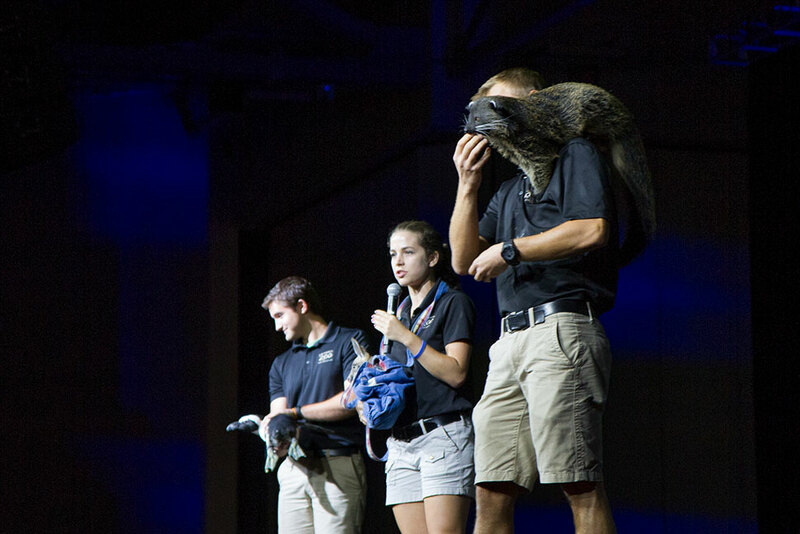 Three animal ambassadors (and their handlers) represented the Columbus Zoo and Aquarium. From left, a penguin, a kangaroo joey, and a bearcat. Ohio State University mascot Brutus the Buckeye stopped by, followed by a football-themed dance number. REBECCA LOMAX is the art director for American Libraries.